We had quite the Halloween this year. Lyla got to wear her costume five days in a row! I know this was fun and exciting for her but quite a bit of work for mom – hello hair curling, hair color, glitter spray and full makeup five different times! But I’ll do anything for my baby. 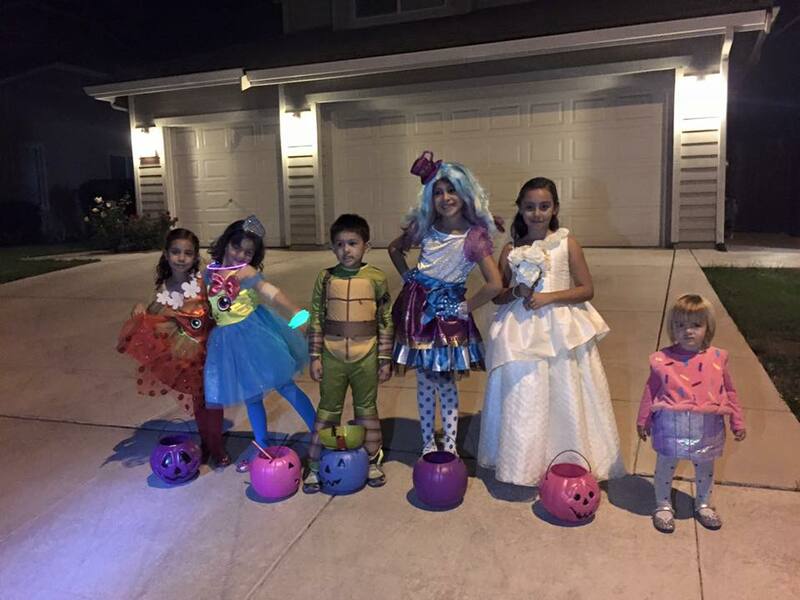 Our week started on Tuesday night when Lyla’s dance studio held a studio-wide costume contest. Lyla was so excited to wear her costume “officially” for the first time and she was determined to win the contest. 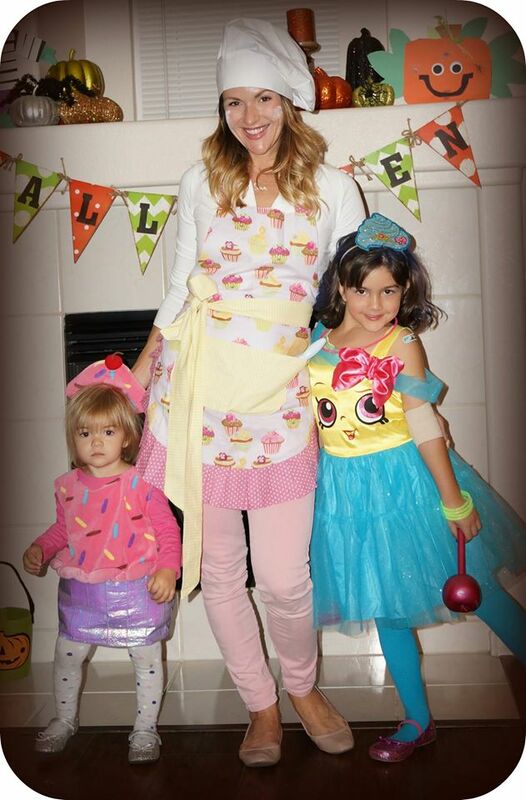 She went as a Shopkin this year, the limited edition Cupcake Queen. On Wednesday, we headed to the Bass Pro Shop. We live about 20 minutes away and I have to say, I’m always very impressed with their special holiday events. The store is always beautifully decorated for each holiday, they offer one free 4×6 picture and have free crafts for the kids, I mean, how can you beat that? Before moving to Tracy, I had never even been to a Bass Pro Shop. We went for the first time during Christmas last year and again for Easter. The girls love the store, its huge and there’s so much to see. They have a big fish tank and waterfall, a fun country store, its really neat but I have learned a few tips if you plan to go for a holiday event. Arrive EARLY! At least an hour early. We skipped the picture with Santa on our first visit because the line was out the door and this is a BIG store. For Easter, we came about 30 minutes early and were maybe 20th in line. For Halloween this year, we got to the store an hour before and were the first in line for pictures, the first! We got some popcorn, fudge and a drink from the country store, trust me, a little snack makes all the difference when waiting in line with children. 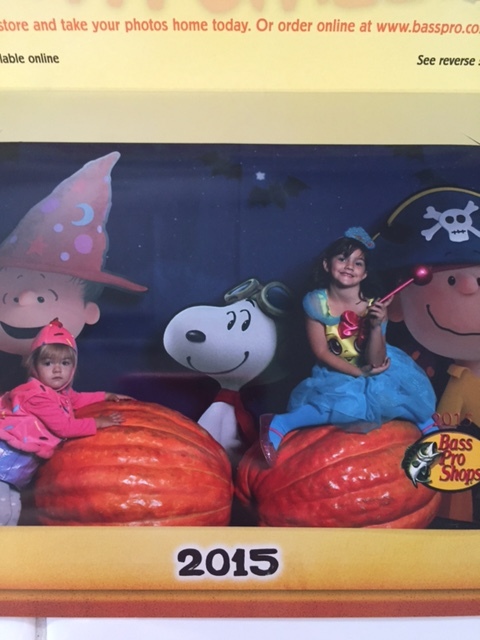 They had the cutest set-up for Halloween and offered one free picture with characters from the Peanuts gang. Such a fun outing! 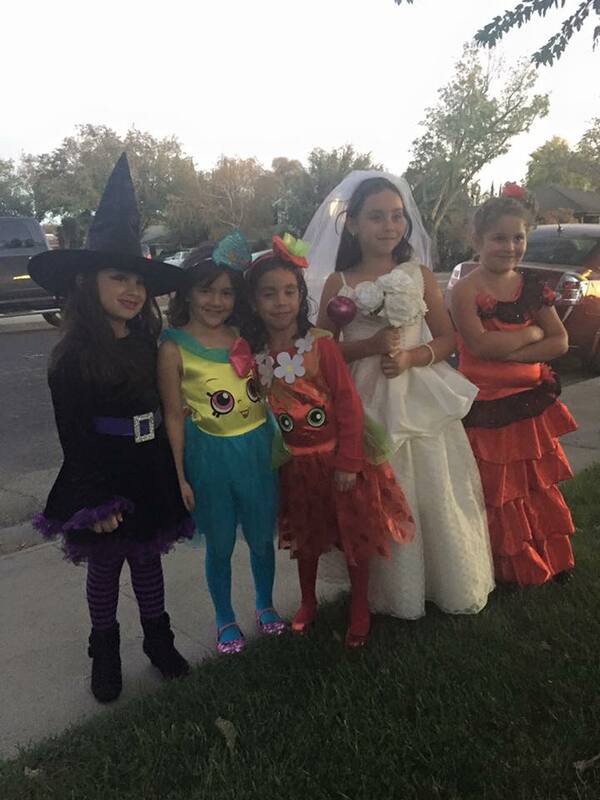 On Thursday, Lyla’s Girl Scout troop had their Halloween party. She had a blast with her friends. Friday was the big Halloween celebration at school. She walked in the Halloween parade and showed off her costume to the entire school. The parade ends in the large field behind her school. All of the students (K-8) form a very large square. The school brings in a DJ and the kids get to watch the 8th graders perform to Thriller. It’s a really fun time. 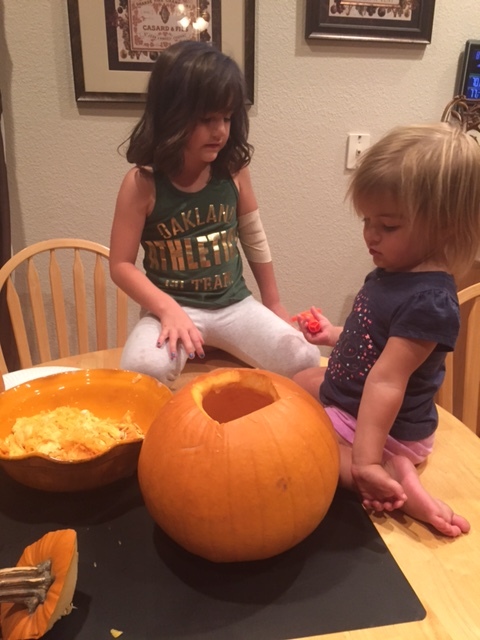 Afterwards, we spent the day in her classroom for her class Halloween party. It was a fun, but long day. 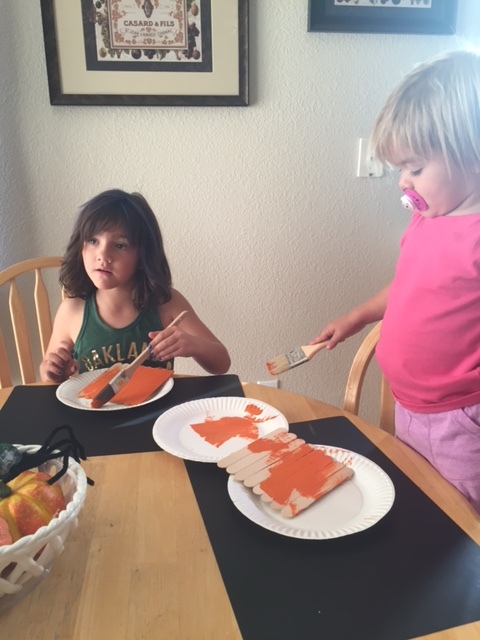 On Friday afternoon/night, we did an easy Halloween craft (pumpkin magnets), carved pumpkins, made Halloween Rice Krispie treats, ate Jack-o-Lantern pizza from Papa Murphy’s and watched Hocus Pocus. That movie is one of my all time favorite Halloween movies and was worried about Lyla being too young to watch it and getting scared but she ended up loving it. It was a busy, exhausting but very fulfilling day. 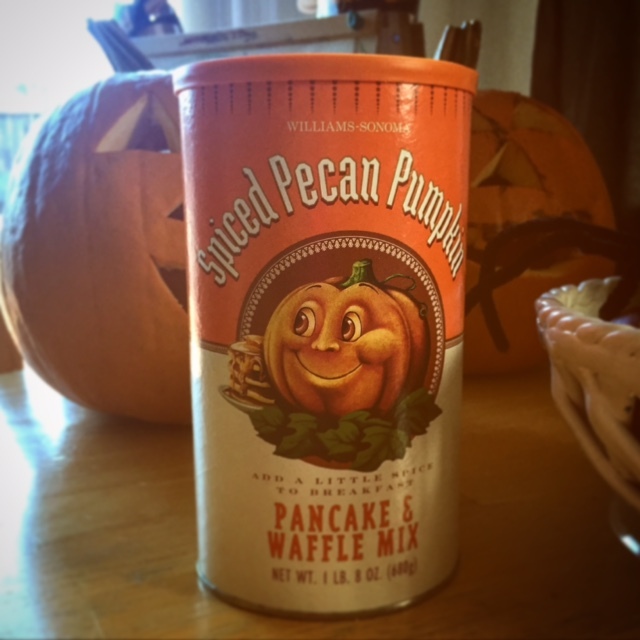 On Saturday, we had a very, yummy, festive Halloween morning breakfast. I used this amazing mix from William Sonoma and added orange food coloring and chocolate chips to make Jack-o-Lantern pancakes. A hit all around except that I forgot to pick-up syrup while at the grocery store and we only had enough for the girls pancakes…. wah, wah, wah. I put butter and cinnamon on mine and it was still good. Just had to work with what we had. 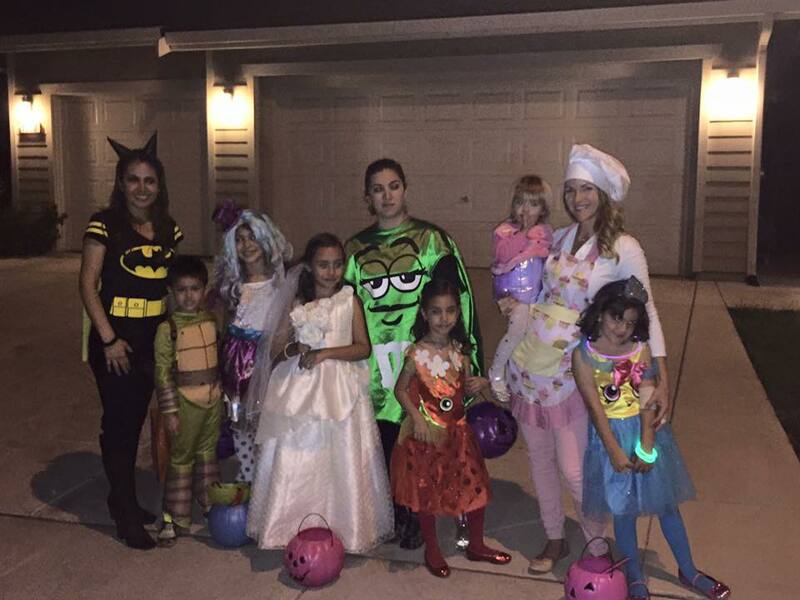 We met up with some friends in our neighborhood and were ready to trick-or-treat! Because it rained last year, this was Sophie’s first experience trick-or-treating door-to-door. It didn’t take her long to figure out how to get the candy. We had such a fun time and Lyla filled her basket pretty quickly. 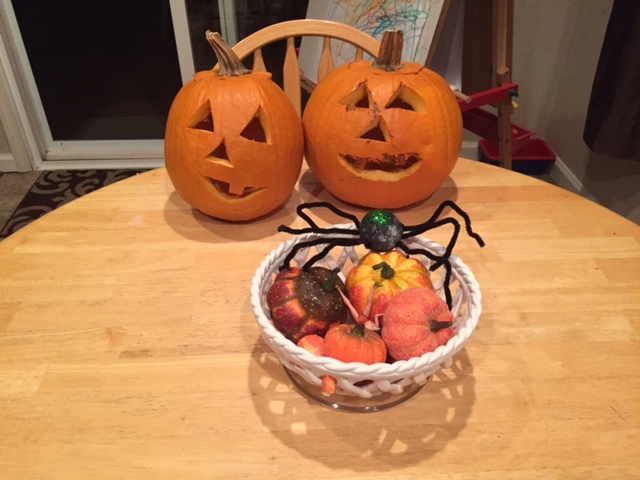 It was a successful Halloween!